I have this selection in a Terrain object and I would like to make the floor much more flat. What kind of VOP/VEX can I use to bring some points up and some points down? I guess I am looking for a kind of un-displace by normals? I guess instead of using SOP tools, you can use the height field tools. In this case I dropped down a heightfield paint in place of a selection. 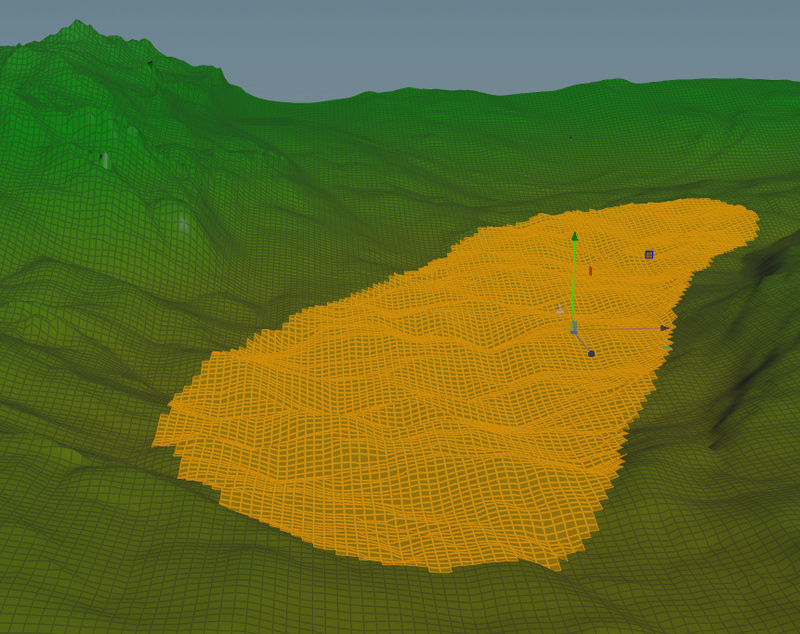 Then I can use the paint node as a mask into the heightfield blur which does smooth out the area I painted quite nice.